Obesity is a serious concern among many countries these days. The problem with obesity is that it gives birth to many other diseases, often chronic. If you had been treating obesity as just another body size, wait till you read some astonishing statistics regarding it. If these alarming figures do not shock you, I do not know what will. More surprising will be a fact for you to know that people think that the USA has the most obese people. But you will be amazed to know that this is not the case. In fact, the USA ranks at number 18 for obesity. The country that has the highest obesity rate, is American Samoa. This isn’t something to be proud of. Because obesity leads to many other diseases, including blocked arteries and diabetes. It also gives rise to cholesterol issues. If this shocked you, you can start working on losing your weight. Actually, you should. And the belly is the first body part that you should target. Avoid Foods with Trans Fat: If you are aiming to lose belly fat, you should avoid all foods that contain trans fat. An example would be soybean oil. In case you do not know, trans fat is created by pumping hydrogen in unsaturated fats. Other examples of food items that contain trans fat include margarine and packaged foods. Therefore, avoid all such as food items. Apart from beer, these foods are very likely to increase your belly size as well. You should make it a habit to read the ingredient label of all the foods or food items that you purchase. And put any item that contains trans fat back on the shelf. Avoid drinking too much Alcohol: Alcohol has some health benefits. Like they say grape wine is good for the heart. But it only benefits your body when taken in small amounts. Excess of everything is bad. Same goes for alcohol consumption. If you drink too much alcohol, it can also make you gain belly fat. And cutting down the amount of alcohol that you consume can make you lose your waist size. So, keep a check on the amount of alcohol that you consume. If you do not drink that much of alcohol, you are safe. High-Protein Diet: You should make a high-protein diet a part of your meals. No one is asking you to ditch the carbs or fats. But increase the content of proteins in your diet. When you consume proteins, it increases the intake of the fullness protein called PYY. This decreases your appetite and gives you a feeling of fullness. Apart from that, proteins also increase your metabolic rate. Not only this, but proteins will also help your body in retaining muscle mass during your struggle to lose body weight. However, this does not mean that you rely on anything rich in protein to increase the amount of protein in your diet. Include healthy sources of protein in your meals. This includes fish, dairy, eggs, and meat. Say Bye to Stress: Stress plays a very important part of weight gain. Especially belly fat. Stress can increase your belly fat because it triggers the adrenal glands to produce cortisol. Cortisol is also referred to as the stress hormone. According to researches, cortisol increase appetite. You can very well imagine what high levels of cortisol will do to you. 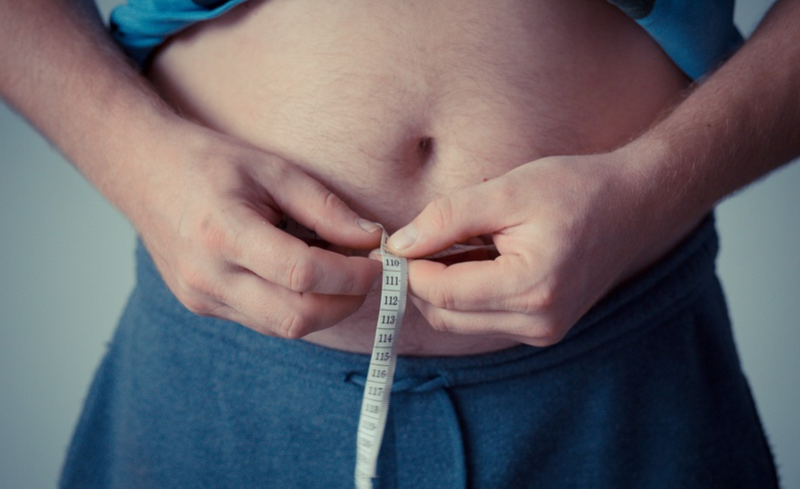 Apart from increasing your appetite levels, cortisol also drives abdominal fat storage. Hence, giving you belly fat. Therefore, avoid stress and people who give you stress. You do not want that type of negativity in your life. Indulge in pleasurable activities as much as you can. Some of the relaxing activities that you can do are yoga and meditation. They give you peace of mind while taking your stress away. Or you can resort to Spectrum TV packages and subscribe to channels that air comedy shows. Laughing can be a very good stress reliever itself. Hope you find these tips helpful and start acting upon them soon. You will be amazed to see the positive change that adopting this lifestyle will bring in your life. To know more book your appointment today with Qua Nutrition.